Unique angles on the most contentious issue in American society take to the screen. With a battle looming over the Supreme Court, a number of pro-life films are set to release in coming months. 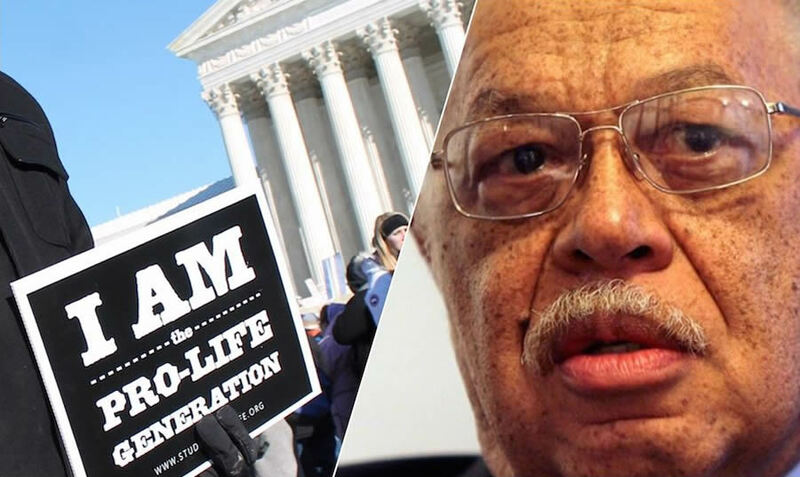 These include a crime drama on convicted abortion doctor Kermit Gosnell and one on the pivotal Roe v. Wade case. The fight for life is heading for the big screen. Two of the most eagerly anticipated: Nick Loeb’s Roe v. Wade and Gosnell: The Trial of America’s Biggest Serial Killer, a crime drama based in urban Philadelphia. Both are on track to release within in the next several months. Both appear to build on the strengths of past pro-life films such as Bella, Voiceless and October Baby. Both are already stirring controversy and contempt from the mainstream media. In early 2010, disturbing reports of an abortion center in west Philadelphia became too numerous for authorities to ignore. When the FBI and Philadelphia investigators raided the offices of Dr. Kermit Gosnell, what they found shocked them. Unsanitary exam rooms reeked of blood. Baby body parts were kept in jars. Gosnell was convicted of three murders and more than 200 counts of violating state abortion laws. He is serving three life sentences in a state prison. After being partially told in the documentary 3801 Lancaster: American Tragedy, a scripted version of the story will finally hit theaters this fall. The crime drama Gosnell has faced more barriers to release than perhaps any recent film. In 2014 Kickstarter snubbed producers from using its crowdfunding platform. They raised over $2 million on Indiegogo. Last year, the Philadelphia judge on the case feared he was portrayed in an unflattering light. He blocked the movie from distribution, in a lawsuit only recently resolved. 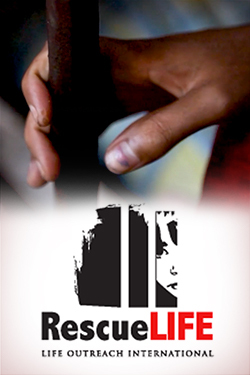 Filmmakers persisted and have now secured an October 12, 2018 release for their film. Directed by veteran actor Nick Searcy (The Fugitive, Cast Away), Gosnell stars Dean Cain as the lead detective who stumbles onto the case. Cain portrayed “Superman” on the hit 1990’s TV show Lois & Clark: The New Adventures of Superman. The crime drama also features Sarah Jane Morris (Coyote Ugly) as a district attorney for the state and Earl Billings (Con Air) as Kermit Gosnell. The second movie with a recent rising profile comes from producer Nick Loeb, who only recently “converted” to being pro-life. It will recount events leading up the 1973 U.S. Supreme Court case that legalized abortion nationwide. “Stories have a way of disarming people and connecting with them on a heart level,” says Christina Marie Bennett. A Connecticut activist, she starred in the short film Pro-Life Feminist. Roe v. Wade will be the first script for Nick Loeb and his production partner Cathy Allyn. For two years, they researched the case using 40 sources including court transcripts and several books. Loeb himself co-stars as prominent abortion provider Dr. Bernard Nathanson, who became pro-life. His 1996 book The Hand of God is a primary source of scenes and quotes. After a crowdfunding campaign that began in January, the film was rushed into production this summer. Some people may feel there is a pro-life bias, he says, “But we took a black-and-white view of this and laid it all out there.” The film reportedly has a $6.5 million production budget. Aspects of the film’s casting have also raised questions. “Half the cast is pro-choice,” said Loeb in a recent interview. Two controversial figures, Milo Yiannopoulos and Tomi Lahren, will reportedly have cameos. Lahren proclaimed herself pro-choice last year on the daytime talk show The View. Yiannopoulos has long been linked with the troubling alt-right movement. Reportedly, Loeb and Allyn’s take on the case starts in 1969. It features Dr. Mildred Jefferson, the first African-American woman to graduate from Harvard Medical School. Co-founder of National Right to Life Committee, she will be portrayed by actress and former Fox News personality Stacey Dash (View from the Top). Newcomer Summer Joy Campbell will portray Norma McCorvey, a.k.a. “Jane Roe,” who came to regret her role in the case. McCorvey, who died in 2017, never had an abortion and fought to overturn the case over the last two decades. Lucy Davenport (Dinner for Schmucks) will play feminist leader Betty Friedan. Academy Award winner Jon Voight stars as Warren Burger, the chief justice who presided over the case. Corbin Bernsen (Psych) plays Justice Harry Blackmun and John Schneider (Smallville) portrays Justice Byron White. The legal drama Roe v. Wade is currently in production in Louisiana, with scenes in Washington, D.C. and New York City yet to be filmed. Visit GosnellMovie.com to find out where the crime drama is playing this fall. Learn more about the film Roe v. Wade. Watch for full interviews with these filmmakers coming soon to The Stream. Explore our complete Film coverage. Editor’s Note: This story has been edited from an earlier version.